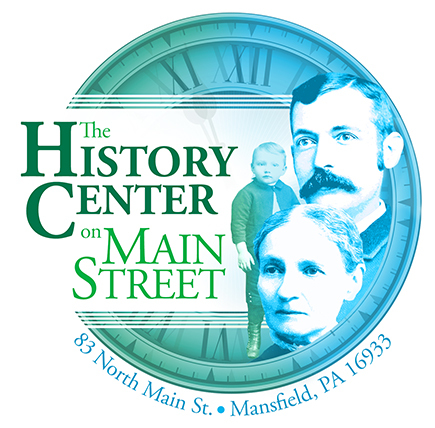 We now have a local history museum in Mansfield representing the area in and near Manfield. Richmond township was organized from the northern portion of Covington township in February, 1824. It is bounded on the north by Tioga and Rutland townships, on the east by Rutland and Sullivan townships, on the south by the township of Covington, and on the west by the townships of Charlestown and Middlebury. It is situated principally in the Tioga valley, about fifteen miles south of the state line at Lawrenceville, and contains a variety of soil, embracing the alluvial and sand soils of the valley and the clay and red shale of the upland. The Tioga River passes through it centrally from south to north, the principal streams of the township are the Tioga River, Corey Creek, Canoe Camp Creek and Lamb’s Creek, the three latter tributaries of the Tioga river. The citizens of Richmond are chiefly engaged in agriculture. Iron ore is found in paying quantities, and has been quite extensively manufactured into "pig metal." The Tioga and Elmira State Line Railroad passes through the township, following the valley of the Tioga, and has two stations in the township, exclusive of the one in Mansfield borough. The stations in the township are at the villages Canoe Camp and Lambs Creek. Mansfield was incorporated as a borough, taken from the township of Richmond in the year 1857. It is one of the most flourishing boroughs in Tioga county, being the seat of the State Normal School, the Soldiers State Orphan School, the Mansfield Business College, and is deemed the educational center of the county. Great flood in Tioga river, May 1833. Doct Cannon settled in Mansfield in 1813. Elijah Clark settled in Richmond in 1806. Peter Keltz erected a frame house in 1810. E. W. Hazzard, first lawyer at Mansfield 1834. In 1810 Amos Spencer erected a grist mill at Canoe Camp. Elijah P. Clark was born at Lambs Creek in the year 1807. Chandler Mann erected the first tannery in Mansfield in 1824. Graded school house erected in the year 1881, at cost of $13,000. Miss Susannah Allen taught school in Mansfield, in the year 1821. Mart King established a furniture manufactory in Mansfield in 1869. Chandler Mann organized a military company in 1836 in Mansfield. In 1841 Benjamin Gitchell erected the first brick dwelling in Mansfield. Mansfield business college organized by Professor Fred M. Allen in 1880. In 1804 Asa Mann founded Mansfield. He erected the first hotel and store. In 1872 Valley Enterprise, a newspaper office removed from Lawrenceville to Mansfield by H. C. Mills. It is now published under the name "Mansfield Advertiser." In 1824 Almon Allen and Solon Richards erected a woolen mill in Mansfield. Jerusha Lamb organized the first Sunday School in Richmond township in the year 1826. Mansfield soldiers orphan school organized by Prof. F. A. Allen, October 1, 1867. Jacob Allen, a lieutenant in the continental army, died at Mansfield , December 11, 1836, aged 73 years. In the year 1803 Elihu Marvin built the first saw mill, and in 1805 the first grist mill in Richmond township. Andrew Sherwood, the geologist, was born in Richmond township, July 16, 1848. He resides now in Mansfield. Gad Lamb was the first permanent settler in Richmond township. He settled at Lambs Creek in the year 1797. Mansfield classical seminary organized February 15, 1855, completed and opened for school purposes in January 1857. In 1822 Amos Spencer was post master at Canoe Camp. It was the first post office within the limits of Richmond township. Arks load with Blossburg Coal at Canoe Camp, in the year 1836, by Christian Sykes and others, and floated down the river. In 1814 Miss Sally Elliott opened school at Canoe Camp. Martin Stratton, Esq., now of Blossburg, Pa., was one of the pupils. Dr. J. P. Morris, James Lowrery, William Bache, Stephen F. Willson, John F. Donaldson contracted with Charles F. Swan for the erection of an iron furnace in 1854. Seminary re-organized and became a state normal school for the fifth district, being the third school of the kind organized in the state, December 11, 1862, with Rev. W. D. Taylor, principal. The Balance, a newspaper published in Mansfield in 1856, by I. M. Ruckman. The type and fixtures were afterwards removed to Kansas, and during ruffian agitation were thrown into the Missouri River. First officers of Mansfield borough in 1857, were Burgess, Henry Allen, Councilmen, P. Gaylord, L. H. Elliott, J. M. Cassels, H. Davis, M. Kelley. Justices, Lyman Beach, William Adams; Constable Alvin Gaylord. July 5, 1832, Presbyterian church organized at Mansfield Baptist church at Mansfield organized April 10, 1840. Methodist church, February 10, 1845. St. James Episcopal church in March 1865. Universalist church organized in 1882. 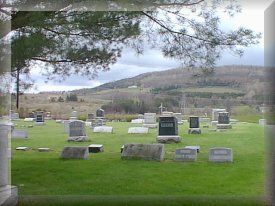 Among the early settlers of the township of Richmond were, Isaac Lownsberry a soldier of the revolution, who was born December 21, 1757, and died at Canoe Camp April 4, 1851, aged 94 years, Cephas Stratton, Mr. Negley, Ichabod Rowley, Mayor Ripley, John Cochran, Amos Spencer, Elijah Clark, Ebenezer Burley, Hezekiah Gaylord, Dyer J. Butts, Thomas Jerald, Elihu Marvin, John Keltz, Peter Keltz, Jacob Keltz, Henry Daniels.